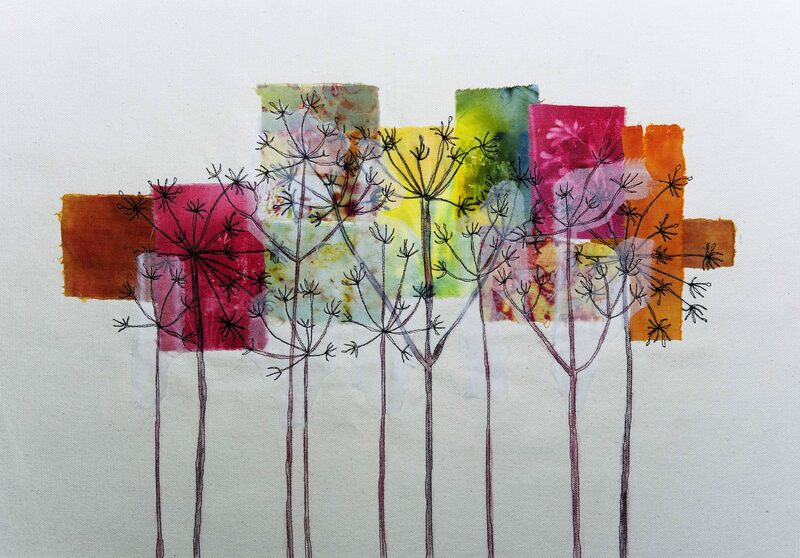 "Exploration of textiles and mixed media is a huge adventure"
There are a lot of leaves still hanging on the trees, there is colour there too, but those on the ground are disintegrating into muddy piles with all the rain we have had. 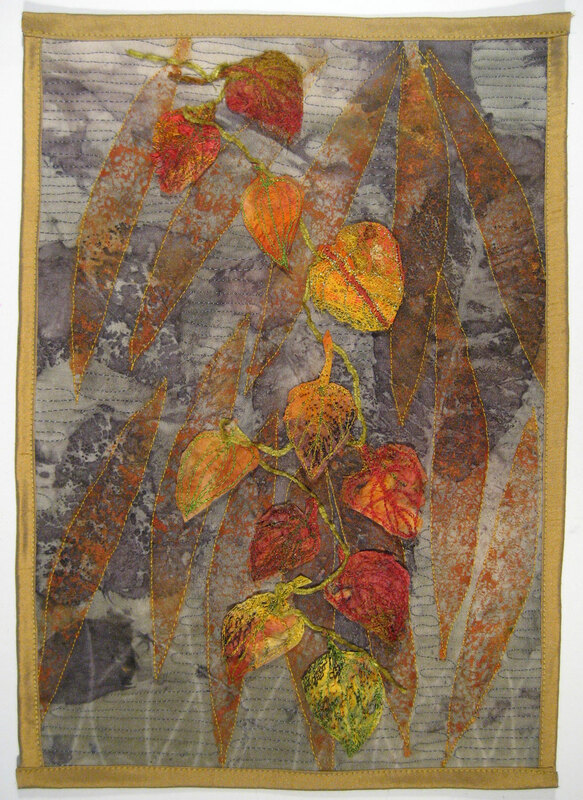 The background is a piece of leaf printed fabric, overprinted with leaf shapes cut from compressed foam, using acrylic paint – a mixture of gold, green gold and cadmium red. I then made leaves from silk paper, stitching the shapes onto this using a hoop. These are attached to the piece only at the tops, with a piece of velour yarn snaking between them.